When you become a TSS Photography franchise owner, you get everything you need. Established professional photographers already know how to take high-quality images, run a business and serve clients. TSS gives you additional brand notoriety, a boost in marketing, the know-how to be successful in high-volume sales and anything else you need – including additional products, services, advanced software to handle high-volumes, training and marketing materials. As a TSS Photography franchisee, you retain the ability to run your business, manage your overhead and set your prices. TSS is there when you need us, with support, training and the industry knowledge for high-volume sports, school and event photography. Plus, you can take advantage of TSS’s national buying power, which controls your costs. TSS has also aggressively pursued a number of strategic alliances and endorsements – relationships that mean more business opportunities for you! Groups like the YMCA, i9 Sports, National Flag Football, and One Sports Nation all already have an existing relationship with TSS. If you have worked hard to establish an existing brand, we certainly understand that you may want to continue to operate under that name. 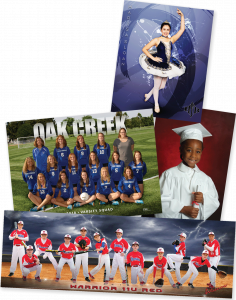 If this business involves sports or schools then we can share the long list of reasons you may want to convert the name of that business to TSS Photography (chief among them the brand recognition and buying power we get collectively). If you do portraits or other types of work, then we can discuss options with you as to how the 2 business lines can co-exist and complement each other. What can TSS do that I can’t do on my own? We know that not everyone wants to reinvent the wheel. We are constantly sharing ideas, studying what works and updating best-practices. TSS is also backed by one of the nation’s largest professional photography labs. Our owners have the most powerful photo marketing software & tools in the industry. Many platforms would need to be utilized to recreate the power of our CORE™ software which is available to franchisees at no charge. Our completely integrated, suite of software covers everything. Image management – sort and sell images by individual (personal galleries), group, time, location and more! To learn more about our CORE software, click here. There is no charge for orders placed in your office. E-commerce fees are only charged for website sales when an order is placed. No upfront or ongoing storage fees are charged no matter how many images you upload. After doing wedding photography for over 15 years, we started growing into schools and sports and I needed to find systems to support me and sustain the growth. After meeting the team and seeing all of the systems in place I was sold!